Verifying your products vulnerability to unexpected electrical transients was once a tedious task and often overlooked. Manufacturers sending their DUT's to test labs only to be sent back not conforming. With pre-programmed scripts for most commercial and military standards, many firms are bringing the capability in house, allowing engineers to hook up and auto run the test to meet IEC, Mil-Std, ISO, CE marking and more. 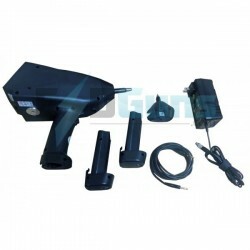 Rent buy or lease conducted immunity test equipment for pre-compliance and certification. The EMC Shop specialies in RF, electrical transient and other electromagnetic compliance test standards. Conducted Immunity There are 82 products. Electrostatic discharge phenomena is a common occurance. Different electrical characteristics can be simulated based on application; human body model, automotive and commercial components all have difference capacitance and resistance requirements. To attain the CE Mark in Europe your product must pass several harmonics and flicker susceptibility tests. 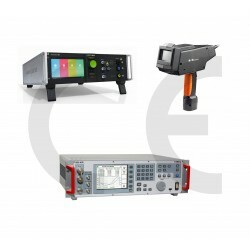 The EMC Shop stocks a variety of harmonics, fluctuation, and flicker equipment to satisfy most EMC testing requirements. 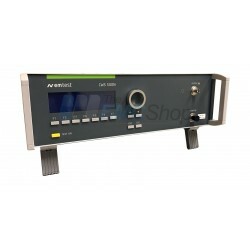 Rent or buy used Voltage Dips and Interruptions Testers. 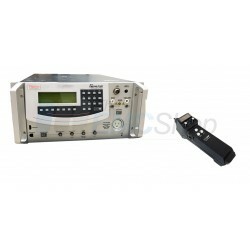 The EMC Shop specializes in power quality test and compliance, stocking generators for conducted immunity testing. Power quality testing and compliance is a key element to for complying to CE, IEC, Mil-STD, DO-160 and more. 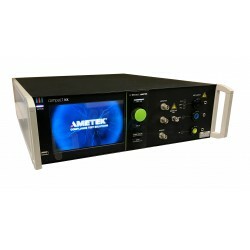 AC and DC power dips, drops, fails and interruptions are accomplished using fast switching power sources with unique sustainability and preprogrammed waveforms and test routines. Oscillating wave generators with defined open circuit waveforms parameters. The oscillating wave, also called a “damped sine” is used to test the immunity of electronic relays and relay systems mounted in an electrical substation or similar harsh environment. Standard met are: IEC 61000-4-12 Ed.1, IEC 61000-4-18 Ed.1 and ANSI C37.90. 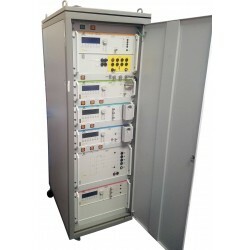 IEC 61000-4-5 is the most commonly referenced international standard to meet eelctrical surge/combo wave test requirements for power and telecom lines. 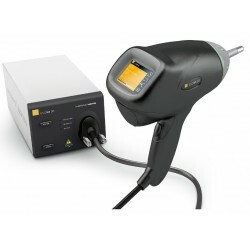 Specialized surge simulators are available to meet specialized industrial and aerospace applications. 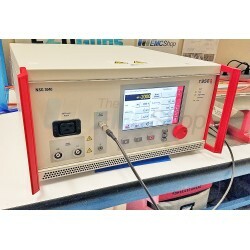 Meet Electrical Fast Transient/Burst immunity test standards like IEC/EN 61000-4-4 with stand alone EFT/burst simulators. Rent EM Test NX5 here. Quick setup and easy to use touch screen interface with test standards programmed and configured.